A 402-unit residential tower that will loom over BART's MacArthur Station in North Oakland gained approval at last night's planning commission meeting. Proponents call it the MacArthur Mammoth due to its unusual size compared to the surrounding mix of mostly two and three story buildings. Commissioners hailed the project for exemplifying the type of housing density proximate to transit that many say is necessary to achieve environmental and socioeconomic goals. "All the regional planning agencies say we have to put housing near transit," said Commissioner Amanda Monchamp just before voting yes. Commissioner Jahmese Myres praised the project's affordable housing units, its "family-sized" two and three bedroom apartments, and the developer's pledge to hire Oakland residents for construction. "A lot of projects we've approved don't have any of these things," she said, referring to the community benefits package. Some speakers criticized the project, however, asking the commission to delay it, or even deny it approval. Jim Bergdoll said he's most concerned about the lack of affordable housing units. "This project has been granted height and density variances," he said, referring to exceptions to the city's zoning regulations, "and public bonds paid for the infrastructure. Their contribution to affordable housing should be more." According to plans, the developers, McGrath Properties and Boston Properties, will rent out 45 of the building's 402 units at below market rates for the next 55 years. Their affordability plan is the minimum required under terms set by the existing development agreement. The rents will be set at rates affordable to people earning 80 percent of the area median income, providing middle class housing in a neighborhood that has rapidly gentrified. Others agreed with Bergdoll that these affordability levels aren't deep enough and won't allow low-income residents an opportunity to live there. Many pushed back, saying the project should be approved as is, and that new housing near transit shouldn't be delayed over aesthetic concerns or a desire for more affordable housing. John Gatewood, a 27-year resident of Oakland, said he supports the project. "About 2000 homes were destroyed in North Oakland to make way for the freeway and BART. Over fifty years we still haven’t completely replaced that housing that was destroyed," he said. Kieryn Darkwater, a supporter of the project said Oakland needs more housing near BART. "Unleash the mammoth," they told the commission. Another supporter, Milo Trauss, said critics of the project's terms were asking for too much. "Would it be good if the developer had millions more than they're already spending on it? Yes," he said. "But this is a great project and we should take advantage of it." 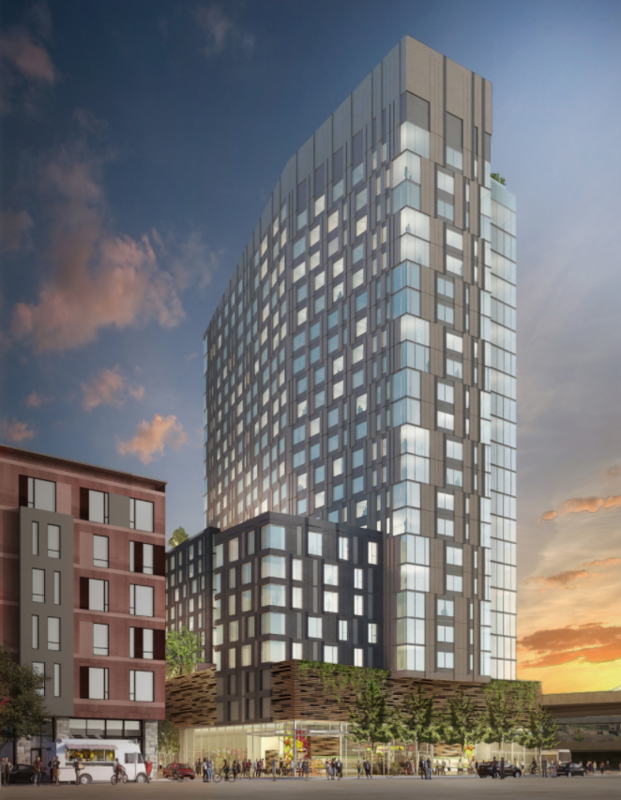 Boston Properties, the company financing the project, is one of the largest real estate owners in the U.S., with net income of over half a billion last year. The company’s CEO, Owen Thomas, was paid $8.7 million in salary, bonus, and stock awards in 2015, the most recent year for which information is available. The commission ultimately felt that the project is providing affordable housing in adequate numbers, and that its other benefits outweigh objections like the shadows it will cast across the area. Even so, the approval almost didn't happen because three of the planning commission's seven members were forced to recuse themselves due to the fact that they all have economic stakes in the project's approval. Planning Commissioner Chris Patillo's firm PGA Design is working on landscape designs for the MacArthur Transit Village, where the tower will be built. Commissioner Adhi Nagraj's employer, Bridge Housing, is helping to develop another parcel that is part of the MacArthur Transit Village. And Commissioner Emily Weinstein also works for Bridge Housing. Commissioner Tom Limon, who was recently appointed to the Planning Commission by Mayor Libby Schaaf, had to defend his decision not to recuse himself from voting on the project after a member of the public raised questions about his membership in an influential real estate industry lobbying organization. Brandie Albright, who lives near MacArthur Station, demanded that Limon recuse himself from voting on the project due to his position on the board of the Oakland Builder's Alliance. 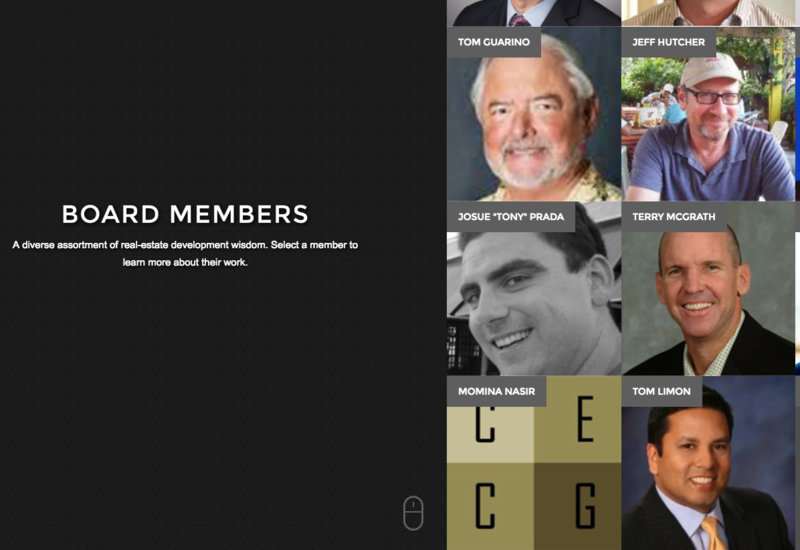 Developer Terry McGrath and Planning Commissioner Tom Limon are both members of the OBA board. Also on the OBA board is Terry McGrath, of McGrath Properties, the developer of the proposed MacArthur Mammoth tower. Pictures of both men appear on OBA's web site next to each other, and OBA lobbied the planning commission in support of McGrath's project. "How is a planning commissioner who is an active board member of a lobbying group allowed to also hear and vote on a project that one of his fellow board members is developing," said Albright in an interview. "Normally where there's a conflict of interest, commissioners recuse themselves, and we've already seen three of the planning commissioners do that just for this single project." But Limon said last night during the meeting that his position on OBA's board doesn't constitute a conflict of interest because he doesn't have a financial stake in the outcome of McGrath's project at MacArthur Station, and he's not paid by OBA for serving on its board. "This is a really unique opportunity to build near transit," said Limon, just before voting yes. "I commend your efforts," he told McGrath, who was in attendance. The project still requires approval by the Oakland City Council and a hearing at the Community and Economic Development Committee is expected later this month. Councilmember Dan Kalb said today that the developer hasn’t yet committed to any meaningful community benefits, and that instead they are taking credit for affordable housing, a project labor agreement, and local hiring promises that have been requirements since the project was first approved in 2008. But since then, the city has allowed the developer to dramatically increase the size of the project without asking for more in community benefits. Kalb said he is also asking for a $1 million community benefits package to improve infrastructure around the building and neighborhood. "He hasn’t said yes to anything so far," said Kalb about most of the community benefits requested. Correction: the original version of this story misattributed a quote to John Gatewood.